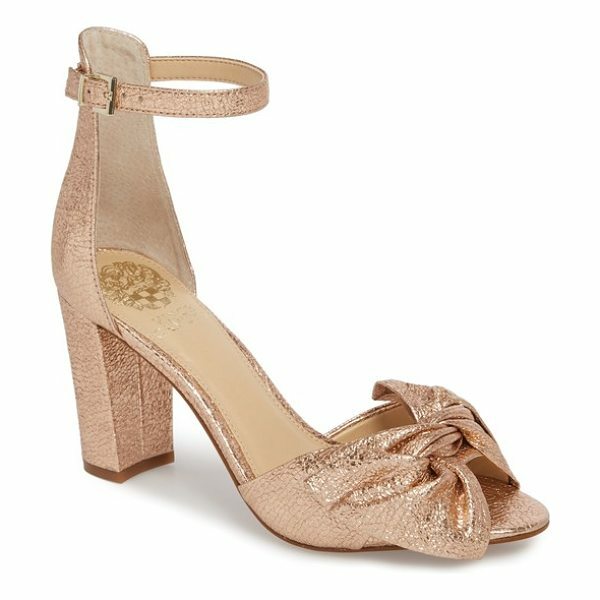 A knotted bow adds soft dimension to an otherwise minimalist strappy sandal lofted by a wrapped block heel. Style Name: Vince Camuto Carrelen Block Heel Sandal (Women). Style Number: 5523120. Available in stores.